gets tired of holidays? Not me, especially if the holiday is all a Learn more here bout food. Well yesterday was another foodie dream holiday being the National Chocolate Souffle Day, and though we may be a day late in celebrating the holiday it isn’t too late to get yourself a nice airy mouthwatering souffle. a special someone this sweet treat, here are a few recipes from all over the internet that you can try. Note though that souffles are really not beginner type of recipes easily caving in when not done right. d.com.au/recipes/2115/gordon-ramsays-chocolate-souffle”>Gordon Ramsays chocolate soufflé – This heavenly concoction is straight from his show, the F Word. Chocolate Souffle with Chocolate Sauce – A kid-friendly recipe whipped up during the 2010 season of Junior MasterChef Australia. Now this, even beginner level cooks may want to try. 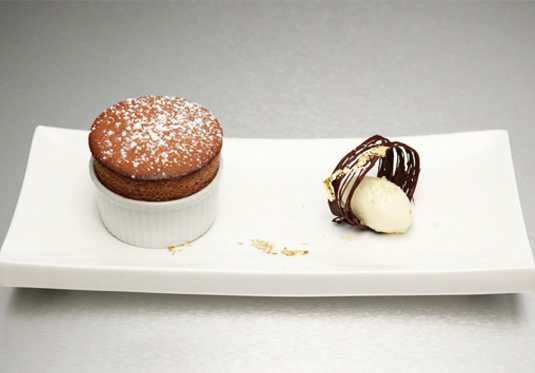 Chocolate Soufflé with Passion Fruit & Vanilla Bean Ice Cream – A different approach to chocolate souffle from Top Chef Just Desserts Season 1 contestant, Yigit. This is the kind of dessert you would expect from contestants of the show, as something too simple and straightforward will surely get you sent home! Chocolate Orange Liqueur Souffle with Chocolate Sauce – Chocolate and orange liqueur equals YUM! This recipe is from renowned chef Paula Deen, which can only mean that this one’s a home run as long as you execute it correctly.